The Penthouse is a wonderful brand new top floor apartment set in the heart of Chichester with high quality furnishings and fittings, alongside very flexible accommodation. 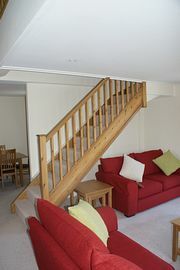 The accommodation is spacious and interestingly arranged on two floors. It will easily accommodate four people and there is also a sofa bed for two further guests. The style of accommodation is highly individual, with the main bedroom on a mezzanine floor, with dual aspect views overlooking Chichester (with direct views of Chichester Cathedral and the East Walls). The kitchen has been upgraded from the builders original specification with Neff appliances (including a washer-dryer). 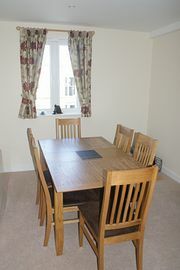 There is a separate dining area and a good sized lounge (where the sofa bed is situated). Appliances include a flat screen television and fast wireless internet connection. The property is very well equipped throughout with high quality new furniture and fittings and is absolutely ideal for business people, or holiday makers wanting an upmarket quiet retreat in this beautiful, historic city. It is available for either short 3 day breaks or longer stays and provides an ideal base for people wanting to explore Chichester and the Goodwood area. Regret no pets or smokers. As well as the many local attractions, this flat is ideal for anyone wishing to take advantage of Goodwood Race Course or the Festival of Speed and Revival Meeting. Town Centre, but quiet location, with views accross the city. 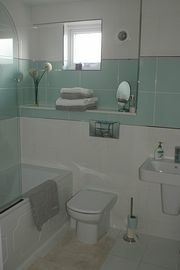 Very high specification - new build and equipment throughout. 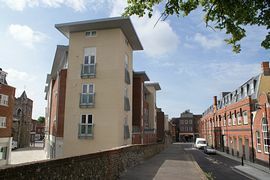 The Penthouse is position at the end of East Street, very close to the city centre and The Cross. £450 - £750 per week. Accommodation can be booked direct by telephone or email. A non-returnable deposit (half cost of accommodation) will be required when booking and the balance, again non-returnable, due one month before the letting commences. Accommodation can be booked, depending on availability, throughout the year. Gold Award from Visit Britain.